Without a doubt I am a flashpacker. 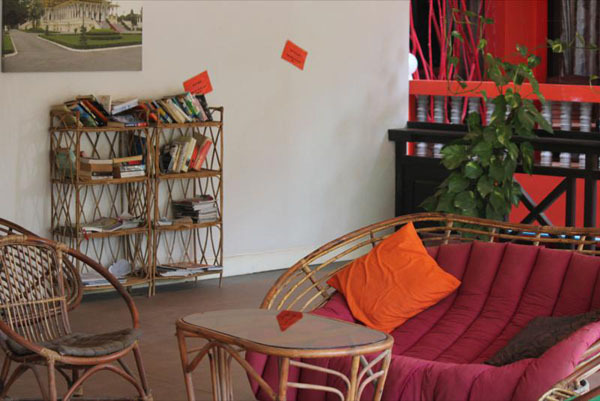 Why in the world did I tread into backpacker land and book our group in a hostel in reasonably priced Siem Reap? I don’t remember! For some odd reason I was drawn to this hostel and their rate got imprinted in my brain. I experienced the hostel life for the first time. I adjusted my expectations to what hostel life meant but as what was mentioned in their website, it was hotel luxury at backpack prices. What really made me decide on this hostel? You have the option of being part of a dorm room or a private room. Since we were 5, we got 2 air-conditioned private rooms. Their rates are based per person so we paid $12 (approximately P516) per person per night. In our case, it was $24 (approximately P1032) for the room for 2 and $36 (approximately P1548) for the room for 3. This rate comes with daily breakfast that consisted of tea, coffee, juice, pancakes, a few fruits, a limited selection of cereal, bread and some jam. I would usually order a side of bacon to go with the free breakfast. The room we got was comfortable for 3 girls (read, we girls need space for all our things!). 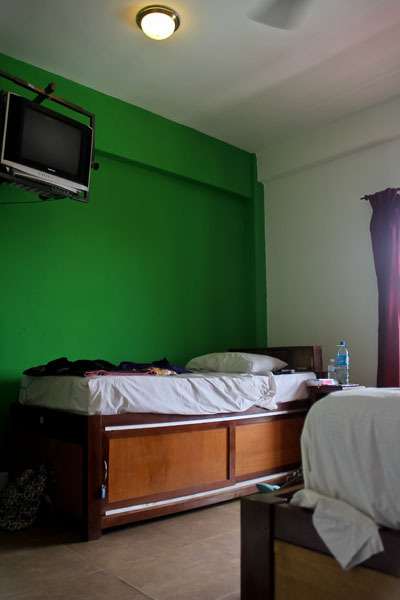 I was surprised at how large the room was considering it was a hostel. Our private room was bigger than the one in Ho Chi Minh. I never felt suffocated by the size of the room. 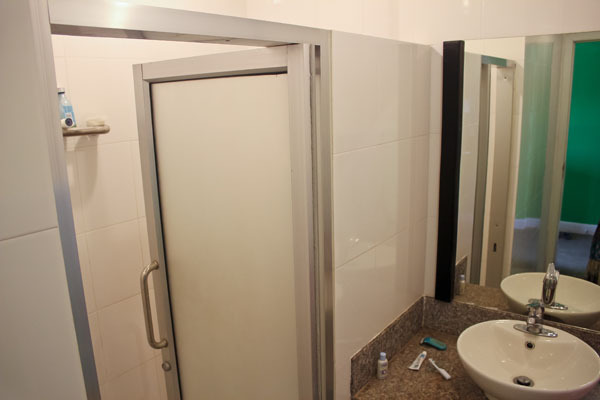 It came with a private bathroom as well. 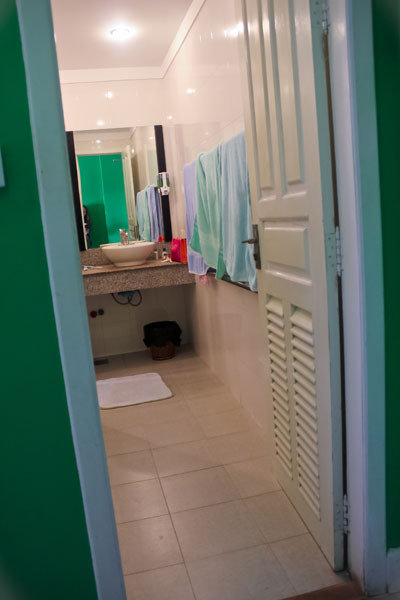 I loved that the toilet was separate from the shower and sink area. The 2 rooms were the same so for couples, you are lucky because the room is huge. Each bed had a compartment underneath so make sure to bring an extra lock. A lot of establishments make maps that are not to scale. 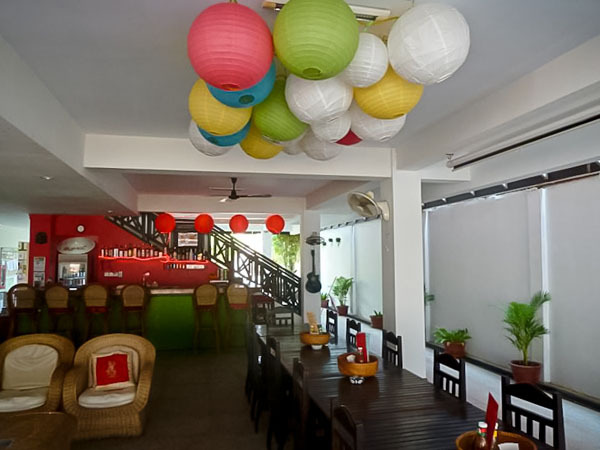 I was thankful that Siem Reap Hostel’s claim was actually true; it was near the Old Market and Pub Street. Our room came with free pick up in the airport upon arrival. The drivers that picked us up became our tuktuk drivers for the rest of our visit. We enjoyed free wi-fi in the hostel which we used to communicate with each other while in the hostel using the Iphone messaging app. This sealed the deal for me. Imagine yourself sweating buckets while touring. Now imagine yourself taking a dip in their indoor pool after. Heaven! I think this is compulsory for most hostels but it still scored points in my book. 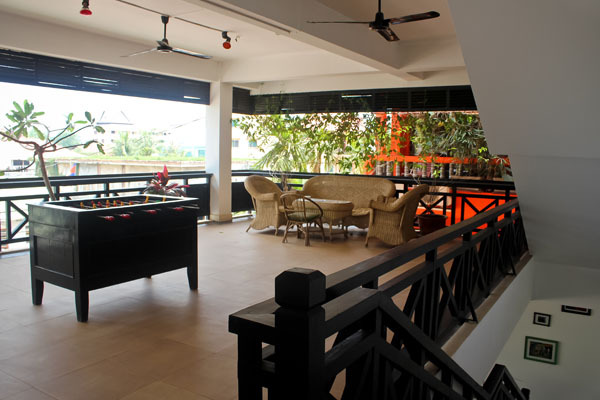 The Siem Reap Hostel had a billiards table, a DVD library, an open air TV area, games & books you could borrow, yoga and even Sunday BBQ! I really wanted to try the last one but we weren’t there on a Sunday. The rates in the hostel are fair. 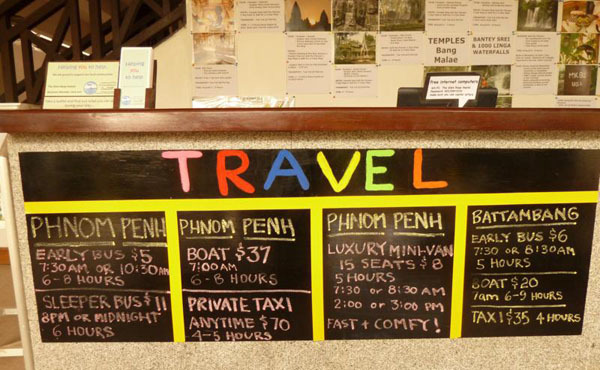 You can easily book tours for Siem Reap (like what we did) and to other parts of Cambodia. They also have information and can give assistance for in-land travel to other countries. In all honesty, there was an incident. On our first night, we were exhausted so we dropped like flies. In the middle of the night I woke up sweating because our air-conditioner wasn’t working. In humid and hot Siem Reap, the night wasn’t cool enough for me. As mentioned previously, I got sunburned on the first day which aggravated the situation. In a nutshell, we reported the problem and it wasn’t fixed immediately for whatever reason. Normally, I would flip out. I did a little but the people were genuinely nice that I let my head cool down. 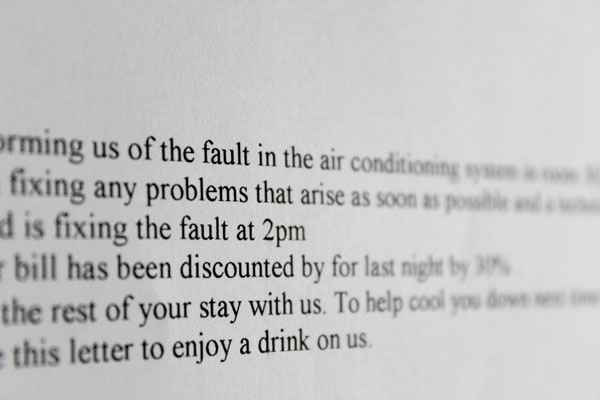 In an effort to say sorry, our hostel gave us drinks on the host and gave us a discount for our last night. 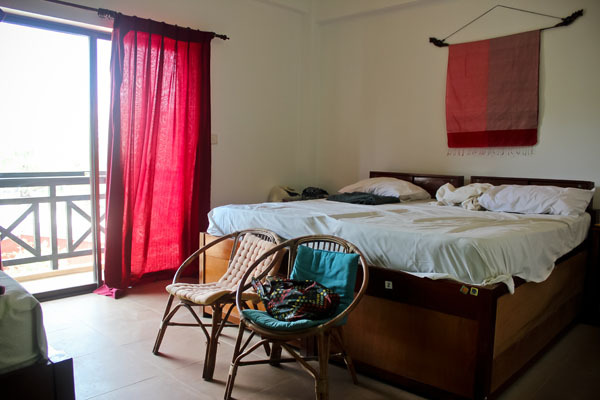 That being said, I would still highly recommend the Siem Reap Hostel if it fits your budget. They may not have an elevator, the incident may have happened but we enjoyed our stay here despite all that. 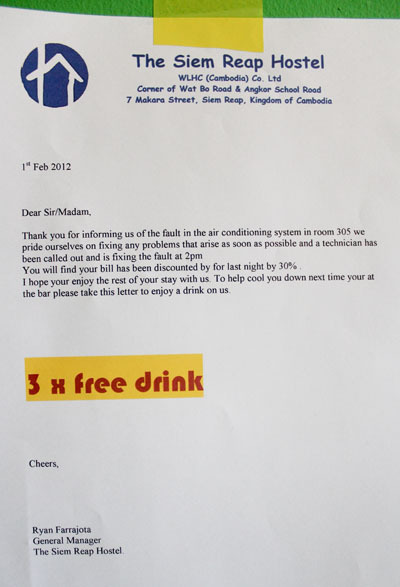 The Siem Reap Hostel is also socially responsible which struck a chord with me. This hostel spoiled me because I expected the conditions to be more challenging. However, I do know that this is hostel is the exception and not the rule in terms of hostel experiences. 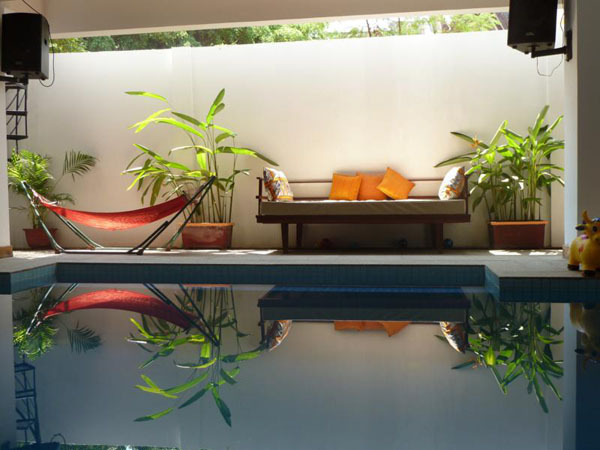 * Additional photos from the Siem Reap Hostel.